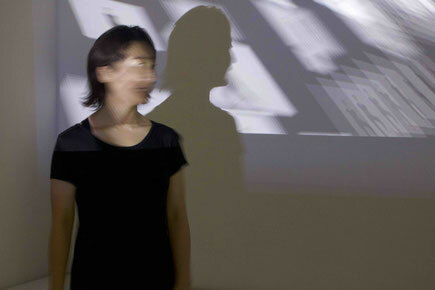 Maho Ogawa is a New York based movement artist originally from Japan. With background of ballet, traditional Japanese dance, and Butoh, she relocated to the U.S. in 2011. Her works have been shown in Asia at Raft (Tokyo), Korea & Japan Dance Festival (Seoul), Za Koenji (Tokyo), Whenever Wherever Dance Festival (Tokyo), Tokyo Culture Creation Project (Tokyo), and at various NY venues including Dance New Amsterdam, Soak Festival / Cave, The CURRENT SESSIONS, Spring Movement and Performance Studio Open House at Center for Performance Research, Movement Research at the Judson Church, Chez Bushwick, Gibney Dance, Domestic Performance Agency, Dixon Place, Industry City Distillery, and New York University Grey Gallery. Ogawa is a recipient of a Suginami ward grant (Japan) and a Tokyo Metropolitan Government grant (Japan). As a performer she has appeared in Sengiku Bando, Laura Neese, Athena Kokoronis, Mina Nishimura, and Abigail Levine's works. She holds a B.A. in Representational Studies from Wako University in Tokyo, Japan.